Michael Foltynewicz was a high school pitcher who was big, strong right-hander, someone who was a competitor, Astros scout Troy Hoerner told reporters in June 2010. Hoerner made the comments at the press conference announcing the signing of the player Hoerner scouted, a player the Astros took 19th overall in that June's draft. "As the spring went on," Hoerner told reporters then, "he developed more and more. He has great feel and he's poised for someone so young. And, the more I got to know he and his family, the more I realized he has great character." Hoerner helped draft Foltynewicz as part of a second career as a scout, one that came after his own career as a player. While players he scouted like Foltynewicz have gone on to make the majors, Hoerner's career was brief. He played just two seasons as a pro. 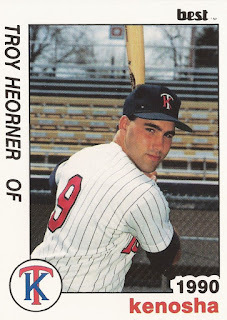 Hoerner's own career began in the 1988 draft, taken by the Twins in the 45th round out of Milaca High School in Minnesota. 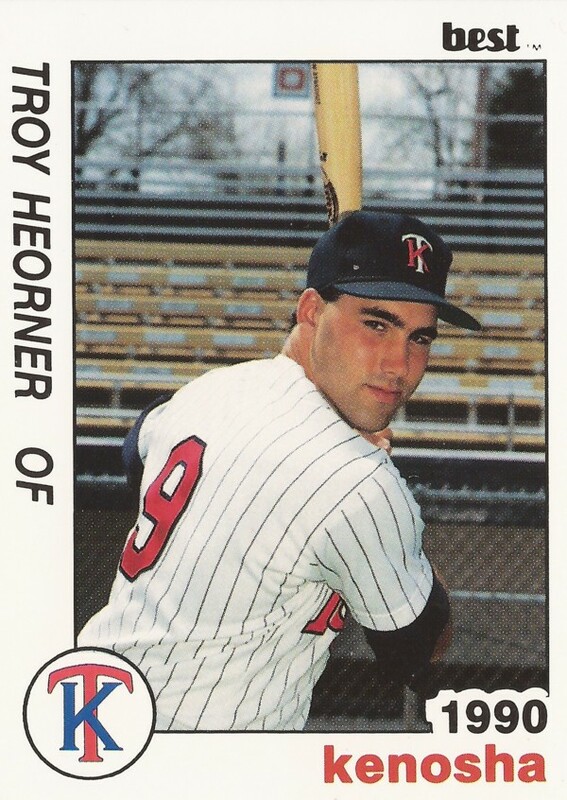 With the Twins, Hoerner first hit the field in 1989, in the rookie Gulf Coast League. He hit .206 in 36 games. Hoerner moved to single-A Kenosha to start 1990. In 25 games there, he hit just .148. He returned to the Gulf Coast League later in the season, hitting .278 in 40 games. He hit a triple in a June GCL game, scoring one. He hit another triple in an August game, knocking in two. It was his final season as a pro. Hoerner later went on to a career as a scout. He first served as a scout with the Orioles. He has since joined the Astros, scouting Foltynewicz in the fall and spring leading up to the 2010 draft, according to MLB.com. Foltynewicz debuted in Houston in 2014. "As we started to do more work and turn the corner on who Mike is, I was really sold," Hoerner told MLB.com. "He just really came on. I felt like he really made the scout's job easy."